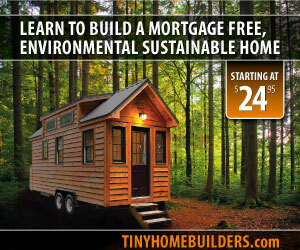 There’s a newer tiny house site on the block that I’d like to give a shout out to, because it’s a very interesting idea. The Tiny House Name Registry is a place to register your tiny house name (think of tiny house names like boat names, only likely less bizarre.) If you are planning a TH, already building one, or have a completed TH and want to name it, check out the Registry for existing names and to go in and “claim” your own! You can also add a few details about your tiny house and you’ll get your own little page on the website for others to see. Tiny House Survey – NEW!